For a never-failing relaxed casual option, you can always rely on this combination of a gold sequin cropped top and a gold sequin pencil skirt. Our favorite of a ton of ways to round off this ensemble is with silver leather pumps. A beige cape coat and a gold sequin pencil skirt are absolute wardrobe heroes if you're picking out a semi-casual closet that matches up to the highest fashion standards. 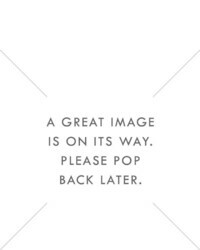 We're loving how complete this outfit looks when rounded off with white cutout leather pumps. 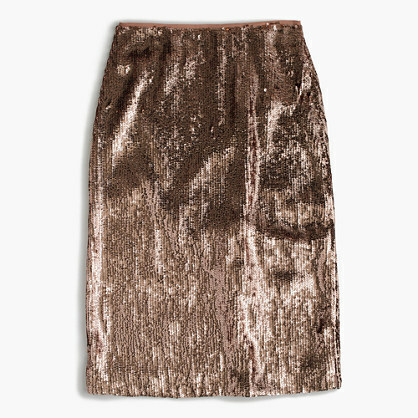 This pairing of a beige turtleneck and a J.Crew Petite Rose Gold Sequin Skirt is definitive proof that a safe look can still be chic. If in doubt about what to wear when it comes to shoes, go with a pair of gold embellished leather heeled sandals. 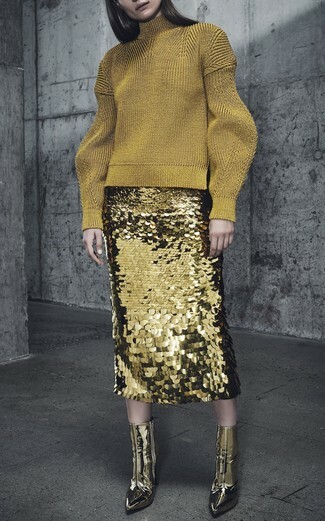 This combination of a gold wool turtleneck and a gold sequin pencil skirt is extremely easy to put together without a second thought, helping you look stylish and prepared for anything without spending too much time digging through your closet. Let your sartorial savvy truly shine by finishing off this getup with gold leather ankle boots. 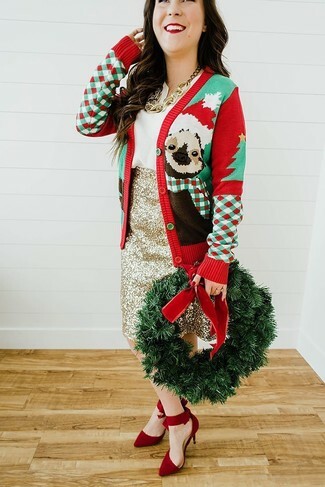 This smart pairing of a red christmas cardigan and a J.Crew Petite Rose Gold Sequin Skirt takes on different forms depending on how it's styled. Red suede pumps pull the getup together.